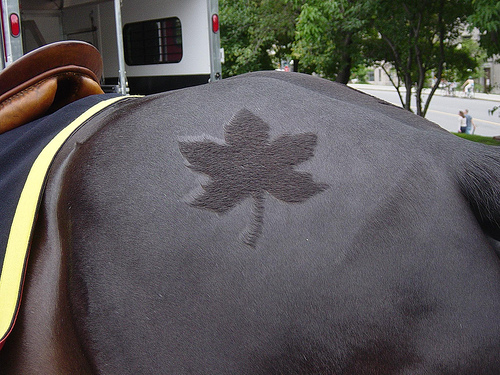 Quarter marks are a traditional way of ornamenting a horse in English-style riding disciplines (here a Canadian Mountie's horse). 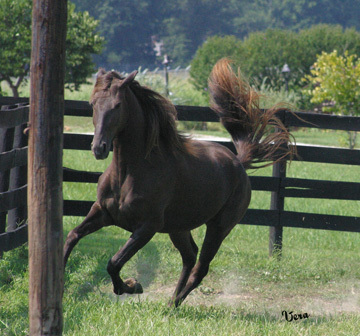 They are simply patterns drawn on the horse's rump by combing the hair backwards, creating a contrasting texture. Most commonly a checkerboard pattern is used, but some people get very creative, using stencils or a talented eye and hand to draw more complex symbols. This site has a super gallery of unusual and complicated quarter marks.